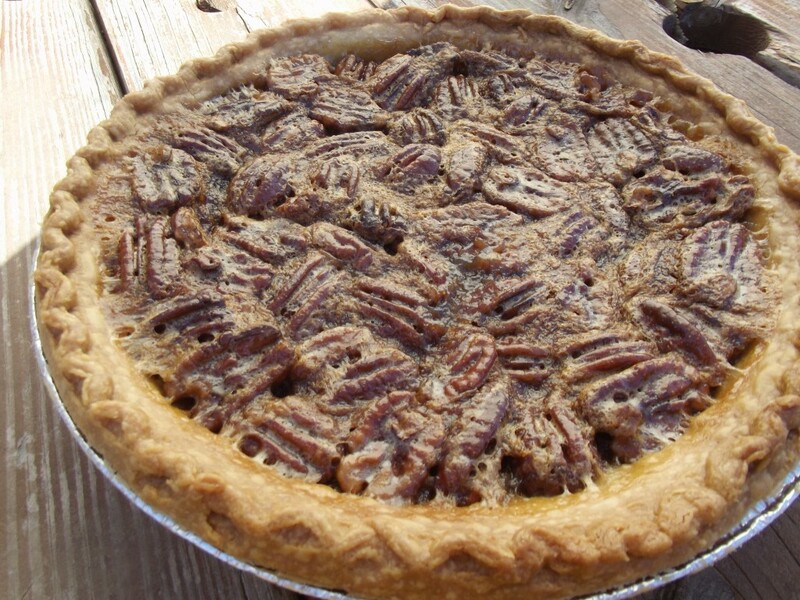 I love to make Pecan Pies! They are such a delicious creation and I love the ooey-gooey filling they have. To me no other pie can compare to the fabulous taste of a Pecan Pie :-)! I normally get asked to make my Pecan Pie for family gathering for Thanksgiving and Christmas. Everyone says how hard they are to make, and I am not sure if they have a hard recipe or what.. because I find they are simple to make!! This recipe I have had for years, I can’t remember when I found it! I am pretty sure it was in one of my parent’s old recipe books! Their is no stove-top needed like some recipes call for! This is an easy pecan pie recipe, you pretty much dump all the ingredients in together, stir, then pour and pan and bake!! I am all about easy recipes that taste like they would take hours to bake!! This year for Thanksgiving I made two, one for us and then I gave one to my sister for her to take out and share with her husband’s side of the family dinner! She ended up texting that she loved the recipe!!! So enough of this chitter-chatter and on to the recipe… shall we?!? First off preheat your oven to 400 degrees. Then I tossed the eggs into my KitchenAid and turned on low, once they were somewhat beat I added in the sugar and the corn syrup. Once that is well incorporated add in the vanilla and salt and butter. Once that is well mixed I turn the mixer off. 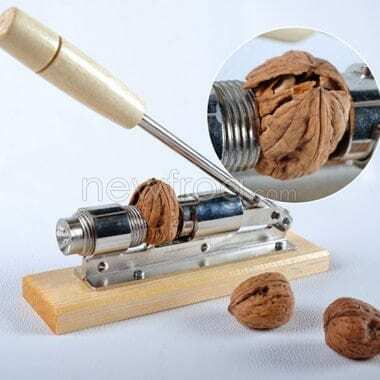 Toss in the nuts and stir with a spatula, so they don’t get too beat up from the blender. Pour the mix into your pie crust, and I always put aluminum foil around the crust, that way it doesn’t over-cook. Bake in the pre-heated oven for 15 minutes. Then you will want to reduce the heat to 350 degrees and bake for 35-40 minutes. You will want the pie to look nice golden brown and slightly puffy. Then cool on a cooling wrack and then wrap it up. I always put ours in the fridge until we are ready to eat it. As you can see from the recipe, it is truly easy. When you pour out the mix into the pie pan, the nuts spread themselves over the pie. I always thought you would have to hand place them, but they do it all themselves!! What is your favorite pie? I would say for me Pecan Pie and Cherry are pretty close tied for first place!! Also if you choose to make this pie, I would love for you to come back and share your thoughts on the recipe!! 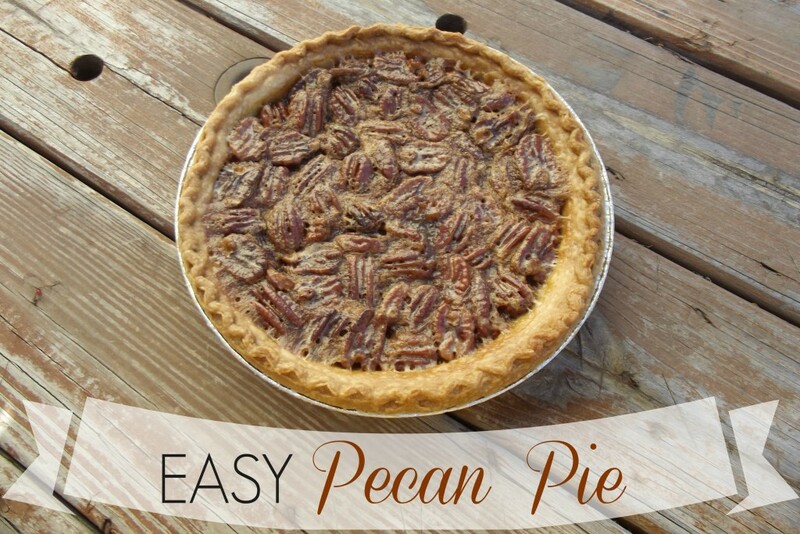 Super Easy Pecan Pie Recipe! Once that is well incorporated add in the vanilla and salt and butter. Once that is well mixed I turn the mixer off. Toss in the nuts and stir with a spatula, so they don't get too beat up from the blender. Pour the mix into your pie crust, and I always put aluminum foil around the crust, that way it doesn't over-cook. 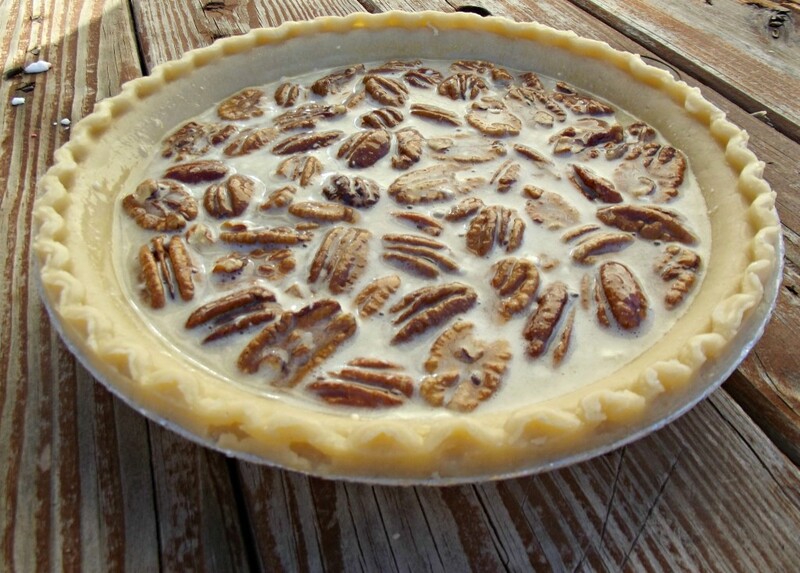 This is a very easy Pecan Pie Recipe! It looks foolproof. I am going to use it and make it for the Holidays! Yes it is pretty fool-proof!! The first time I ever made one it wasn’t easy cause I had to cook some ingredients on the stove turned into a mess, then I found this one and have used it since!! I put this together this morning and it looks good (haven’t tried it yet). One quick thing- the recipe called for butter but never said when to include it in the directions. I just dumped it with everything else, hoping it’s right! I am sorry yes it just goes in with the filling, my bad! Is the pie crust frozen? And if so do u need to let it thaw first? Yup! I am having denture surgery tomorrow at 8am and I was looking for the right cake/pie recipe to reward myself with after I heal. This is it! My favorite pie is pecan or sweet potato but I cannot leave out cheese cake lol. Oh this looks yummo but I have not been able to eat because of my teeth lol. I am not much of a pie maker but this looks easy enough for even me to make it! That does look easy and delicious! I am excited to try this one.